Rafael Holdorf Lopez is a Professor in the Department of Civil Engineering at the Federal University of Santa Catarina, Brazil, since 2011. 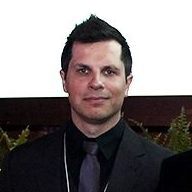 He obtained his undergraduate degree in Civil Engineering from the Universidade Tecnológica Federal do Paraná (Brazil), in 2006, and received his PhD in Mechanical Engineering from the Institut National des Sciences Appliquées de Rouen (France) in 2010. Currently, Dr. Lopez has a Level 2 CNPq Researcher Fellowship and conducts research on the development of algorithms for engineering optimization and optimization under uncertainty, reliability and uncertainty quantification, with applications to structural systems. Efficient Global Optimization (EGO), Stochastic Descent Algorithms, Risk and Reliability based design optimization, Bridge Safety and Reliability, Wind Turbine Foundation Structural Optimization. Direct stiffness method: truss and frame elements in 2D and 3D. Introduction to approximation methods; variational formulations for bar and beam elements; structure of a finite element code; plane stress/strain finite element analysis. Introduction to optimization; numerical methods for constrained and unconstrained problems. Simulated annealing, genetic algorithm and swarm intelligence; constrained problems; problems with discrete design variables; hybrid deterministic-stochastic algorithms. Calculus of Variations, approximation methods (Ritz, Galerkin), application to structural models: Euler-Bernoulli, Timoshenko and high order beams, Kirchhoff plates. Journal of Reliability Engineering and Resilience is licensed under a Creative Commons Attribution 4.0 International License.